Beaches of Odessa as a reason for dating girls. The heat of the Odessa‘s sun warms the bright feelings and causes beach dating. In hot weather, people put on a minimum of clothing, especially girls and young women with an attractive body. This is a chance for them to show what progress they have made, staying on exhausting diets in winter and spring. About the clothing itself: it covers a minimum and opens a maximum, it is like a challenge... The sun, the sea and the lack of clothing contribute to the rapid development of events. Emotion can erupt as fast as lightning and disappear with a time, and may remain for a lifetime. According to statistics, 1/3 of the office workers meet their second halves and at the end they are planning weddings or at least long term relationship. Beachwear removes all visual barriers, which disappear without the ordinary casual attire. Girls’ bikini stir the imagination of men, men change their trousers to shorts. .. In these clothes everyone at the beach is equal: no bankers, journalists and professors, and every girl and woman is so good in the eyes of men, that they see them as only the top models ! Of course, not all women on the beaches of Odessa are looking for new friends. There are many married women, young mothers with children.. But if you see that a girl dances in a bathing suit on the beach, laughing at jokes of her girlfriends, casting furtive glances at the neighbors - she is looking for a partner. And she demonstrates that she is free, fun, relaxed. When talking to you or if your views are constantly meet the girl ‘s ones and then shows you her wrist or raise her hands, as if to fix her hair, stretching ,etc. this is a signal that she surrenders .. she likes you. . If you are going to the beach in Odessa and does not exclude the possibility of a beach dating with a local girl, remember that you should not idealize the partner. During this acquaintance is specific , we pay more attention to appearance than to the personality. The beauty of the body is evident, and the personality is somewhere deep inside of a person. Postulate "if a man is handsome, he is good" is not always correct. In the cold season, the whole beauty is hidden under the clothing, and to build a possible relationship with the person is necessary according to hers or his personality. This is an opinion of the psychologists of Odessa.Dating marriage agency specializing in dating brides from Odessa and foreign men. 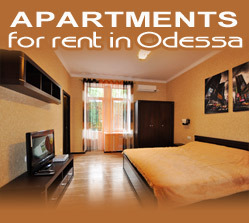 Enjoy your wonderful summer vacation in Odessa and have less unpleasant unexpected adventures!